PALAZZO PITTI (Pitti Palace), is a vast mainly Renaissance palace in Florence, Italy. It is situated on the south side of the River Arno, a short distance from the Ponte Vecchio. The core of the present palazzo dates from 1458 and was originally the town residence of Luca Pitti, an ambitious Florentine banker. In the late 18th century, the palazzo was used as a power base by Napoleon, and later served for a brief period as the principal royal palace of the newly united Italy. 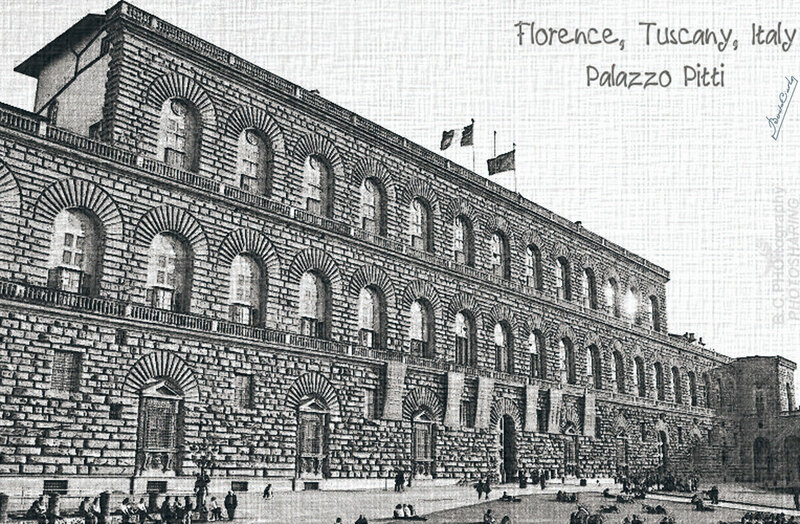 The palace and its contents were donated to the Italian people by King Victor Emmanuel III in 1919, and its doors were opened to the public as one of Florence’s largest art galleries. Today, it houses several minor collections in addition to those of the Medici family, and is fully open to the public.